Children whose fathers smoked have at least a 15 percent higher risk of developing the most common form of childhood cancer, a new Australian study finds. “Paternal smoking seems to be real” as a risk factor, said Patricia Buffler, a professor at the University of California, Berkeley, who was not involved in the current analysis. “The importance of tobacco exposure and children’s cancers has been overlooked until recently,” Buffler told Reuters Health. “So I think this paper is important” in adding to the growing body of evidence. The research team, led by Dr. Elizabeth Milne at the Telethon Institute for Child Health Research in Australia, surveyed the families of nearly 400 children with acute lymphoblastic leukemia (ALL). Although ALL is the most common childhood cancer, it is still rare, affecting about three to five children out of every 100,000, according to the National Cancer Institute. More than 1,000 kids die of the disease every year. The survey asked about the smoking habits of both parents. Milne and her colleagues compared these families to the families of more than 800 children of similar ages who did not have leukemia. They found that the mothers’ smoking behavior had no impact on the kids’ risk of developing the cancer. 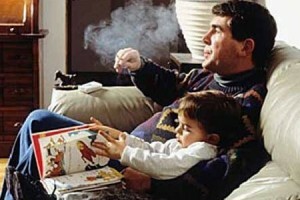 But kids whose fathers smoked at all around the time of their conception were 15 percent more likely to develop leukemia. Those whose dads smoked at least 20 cigarettes per day around that time were 44 percent more likely to be diagnosed with the cancer. A 15 percent increase in the risk of ALL would increase the number of cases from six out of every 200,000 children to seven out of every 200,000. Of the nine earlier reports that the researchers used in their comparison with the current study, six of them also found an increased risk. The findings make sense, Buffler said. “Tobacco smoke is full of toxins,” including carcinogens, she said, “so it’s not unlikely that you’d have damage” in the cells that produce sperm. “Sperm containing DNA (damage) can still reach and fertilize an ovum, which may lead to disease in the offspring,” Milne wrote in an email to Reuters Health. The study did not prove that DNA damage in the sperm caused by smoking is responsible for the children’s increased risk of cancer. “The causes of ALL are likely to be multifactorial, and our findings relate to just one of the possible contributing factors,” said Milne. She added that her results are not intended to be used to place blame or make parents feel guilty. Several other environmental factors are also tied to a greater chance of developing childhood leukemia, including ionizing radiation such as x-rays and the mother’s exposure to paint or pesticides while pregnant. Milne said that many of the studies regarding these potential causes have been small, and not conclusive. Buffler is leading an international consortium of researchers tracking thousands of cases of childhood leukemia to determine the influence of environmental, genetic and other biological factors on developing the disease.